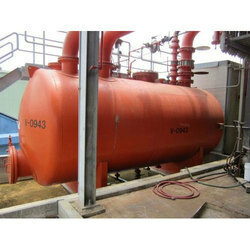 We are remarkable enterprise, involved in offering superior quality Steel Pressure Vessel. Clients can acquire from us, a extensive variety of fine quality Auto Cleave Vessel. 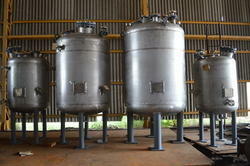 The vessels, we manufacture are designed in special manufacturing units. Our Auto Cleave Vessel is produced under the guidance of experienced experts. In Flash Vessels flow a mixture of liquid and vapour. The goal is to separate the vapour and liquid. We are able to design & manufacture customized product as per the client's specified requirements / drawings / data. All relevant documentation can be supplied i.e. Raw Material Test Certificates, Hydraulic Tests, Weld Procedures, Weld Tests, QAP etc. on request. Bilfinger Neo Structo Pvt Ltd.
Our clients can avail premium quality of Steam Jacketed Vessel from us.